Gain even more savings by combining your lodgings and flights. Expedia has loads of amazing Louny vacation packages that'll save you time and give you more money to spend! Wouldn't it be nice to earn savings up to C$590*? Get your group's package deal on Expedia today! You can select from more than 400 partner airlines and 321,000 worldwide properties via our comprehensive database of flights and accommodations. Fly with who you want, stay wherever you want — now that's a dream vacation! If you change your plans, we'll honor your cancellation request on nearly all reservations with no extra fee. It can be really nice to just amble around the streets when you're in a new place, but sometimes it's a wise idea to form a plan. Grab your itinerary — we have heaps of wonderful ideas for your forthcoming Louny vacation. It doesn't matter your traveling style, Expedia can help you locate the leading sights and the most thrilling activities. Just pack your suitcase and show up! Expedia presently doesn't feature any property listings for Louny. However, you'll discover a few places to stay in Volevčice, which is 7 miles (11 km) away. The Hotel Cascade and Hotel Kapitol are among the best options in Volevčice. Got your hands on the plane tickets for your trip to Louny yet? When you arrive, get ready to stroll out into Vaclav Havel Airport (PRG). It's 25 miles (40 km) from here to the main streets of town. 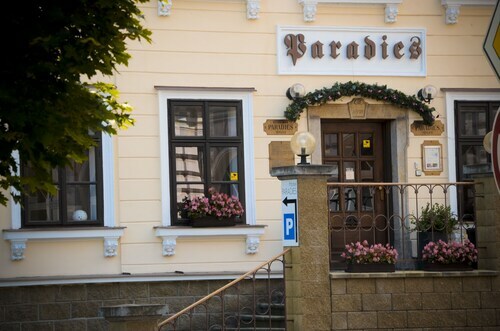 Situated in Teplice, this hotel is 0.9 mi (1.4 km) from Botanical Garden Teplice and within 25 mi (40 km) of Altenberg Bobsleigh and Glashuette Original Factory. Tisa Walls and Ore Mountains Toy Museum are also within 25 mi (40 km). Teplice v Cechach Station is 14 minutes by foot. 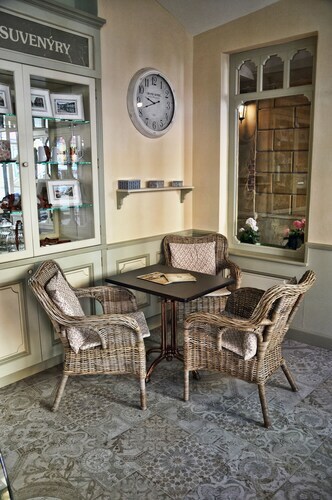 Located in the heart of Most, this spa hotel is 1.4 mi (2.3 km) from Church of the Assumption of Virgin Mary and 2 mi (3.2 km) from Hněvín Castle. Chomutov Zoo and Kamencov Lake Park are also within 16 mi (25 km). Most Station is 19 minutes by foot. 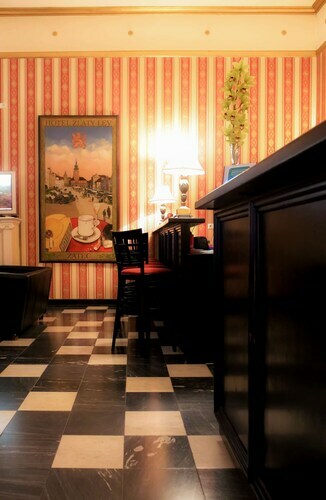 This family-friendly hotel is located in the city center, within 3 mi (5 km) of Church of the Assumption of Virgin Mary and Hněvín Castle. Chomutov Zoo and Kamencov Lake Park are also within 16 mi (25 km). Most Station is 24 minutes by foot. 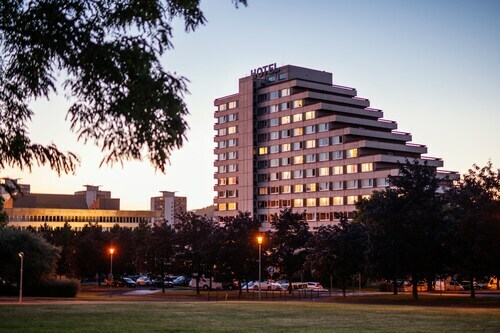 Located in the heart of Lovosice, this spa hotel is within 6 mi (10 km) of Smetanovy Sady Park, Ghetto Museum at Terezin, and Terezin Church. Crystal Touch Museum is 5 mi (8.1 km) away. Lovosice Station is 8 minutes by foot. 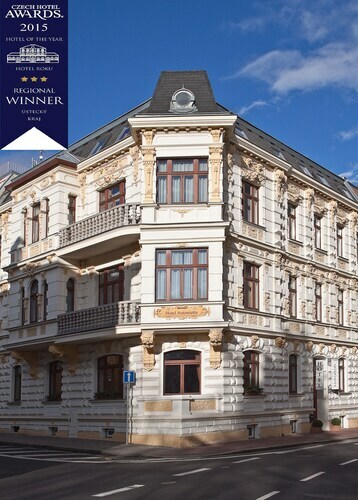 Located in the heart of Teplice, this hotel is 0.5 mi (0.7 km) from Botanical Garden Teplice and within 20 mi (32 km) of Altenberg Bobsleigh and Tisa Walls. Děčínský Sněžník Lookout Tower and Glashuette Original Factory are also within 25 mi (40 km). Teplice v Cechach Station is 12 minutes by foot. Situated in Teplice, this hotel is 1.2 mi (2 km) from Botanical Garden Teplice and within 20 mi (32 km) of Altenberg Bobsleigh and Tisa Walls. Děčínský Sněžník Lookout Tower and Glashuette Original Factory are also within 25 mi (40 km). Teplice v Cechach Station is 6 minutes by foot. 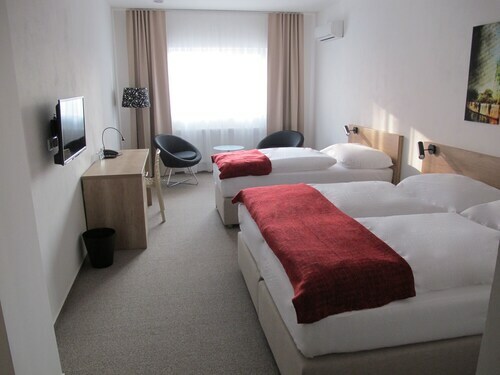 Situated in Teplice, this hotel is 1.1 mi (1.8 km) from Botanical Garden Teplice and within 20 mi (32 km) of Altenberg Bobsleigh and Tisa Walls. Děčínský Sněžník Lookout Tower and Billy Berggiesshuebel Water Park are also within 25 mi (40 km). Teplice v Cechach Station is 12 minutes by foot. 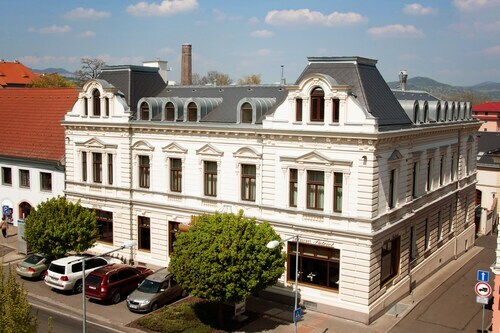 Situated in Zatec, this hotel is 0.2 mi (0.3 km) from Town Hall Zatec. Zatec Zapad Station is 17 minutes by foot and Zatec Station is 17 minutes.